Roger Southey developed this subdivision on the Opaki Plains, just on the left as you leave Masterton. The subdivision streets are lined with oak trees, and the main road looks straight to the Tararua Range, a view reminiscent of the Kashmir area of India. There are two further streets, one to the left named after Southey’s father McDonald “Mac” Southey, a local farmer and stock trader, and one to the right named after an ancestor on his mother’s side of the family, Roger Renall. 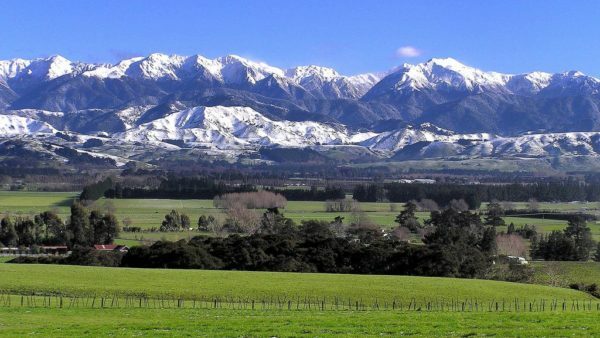 Pic: The Tararua mountains make a show after a winter snowfall. Photo - Michael Toohey.